Mount your Garmin Edge Bicycle Computer on your handlebar with the stylish TrustFire Garmin Bike Mount! 1. TrustFire Garmin Bike Mount: fully compatible with Garmin Edge 25 130 510 520 810 820 1000 1030 and BRYTON GPS, Gopro Series Camera, SONY HDR AS50/AS200V and TrustFire D20 bike light. 2. Out Front Mount Fit for Φ31.8mm/25.4mm handlebar. 3. 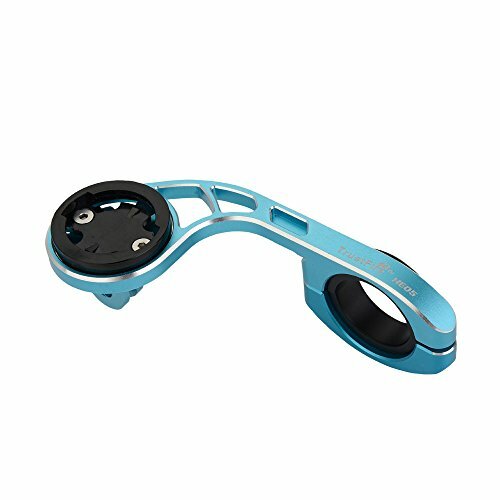 This Garmin Mount is made by High-strength aluminum alloy material,CNC machined,Durable,Lightweight and Stainless. 4. The garmin edge mount is easy to install, can be installed in 60 seconds. 5. This gopro bike mount allows you to place your Garmin Edge cycling computer in front of your handlebars. This means your computer is in a position optimised for easier viewing and increased safety. If you have any questions about this product by TrustFire, contact us by completing and submitting the form below. If you are looking for a specif part number, please include it with your message.